We need a five drop policy: a sustainable water policy which would treat with care our five sources of water. Drop No. 1 is a drop of rainwater. We need to handle rainwater with care. If we harvest it appropriately we will be able to make use of it when it is required. If we harvest it we will also reduce its flow in streets and diminish substantially the overloading of our sewers whenever it rains. Drop No. 2 is a drop of storm water. Storm water flowing through our streets can be substantially reduced if rainwater harvesting is done appropriately. The remaining storm water would then be less of a danger to life and limb. It would be less of a civil protection issue and much more an exercise of collecting rainwater from streets to be utilised for non-potable purposes. Drop No. 3 is a drop of ground water. Ground water has been mishandled for years on end. 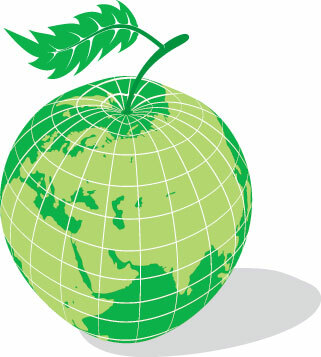 It is time that we realise that this resource which has been collected and stored by nature is finite. Through the years it has been over-extracted such that the quality of what’s left is compromised. It has also been contaminated by human activity, primarily agriculture, such that it would take a minimum of 40 years to reverse the process. Drop No. 4 is a drop of treated sewage effluent. Treated sewage effluent is being discarded as a waste when it should be valued as a very precious resource. Treating sewage before discharging it into the sea honours Malta’s obligations under the Urban Wastewater Directive of the European Union. However throwing it away into the sea is an unsustainable practice which should be discontinued. We should appreciate its value and put it to good use. At the moment we are discharging treated sewage effluent into the sea at three points along our coast and then taking it up again at other points to produce potable water through our reverse osmosis plants! Drop No. 5 is a drop of sea water. Sea water is much cleaner nowadays due to sewage being treated before discharging into the sea. This has improved substantially our bathing waters. But sea water is also the source of over 55% of our potable water which we process through our reverse osmosis plants. 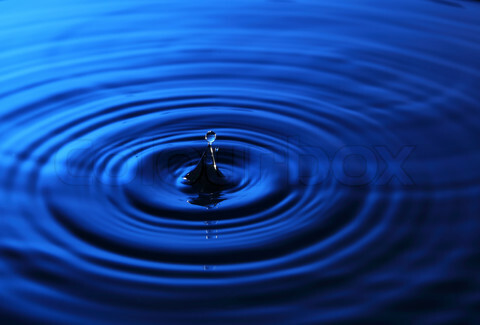 These five drops of water make up our water resources. 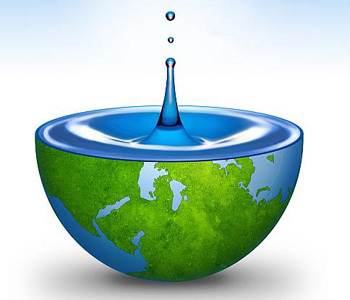 Water is of strategic importance to ensure a healthy eco-system, for our quality of life as well as for our economy. Government can and should do much more to protect this precious resource. But we should also consider how we could improve our input by using this resource properly. A sustainable water policy is a five drop policy through which each and every one of us values each and every source of water. The Stockholm International Water Institute during the current week is organising the World Water Week. Focusing on the theme of water and food security this is the sixth consecutive year for the Swedish Institute. In Malta water has been mismanaged for a large number of years. The ground water table is generally depleted. Where ground water is still available this is of poor quality. Agriculture is one of the major users of water. It has also however contributed substantially to the contamination of the water table as is evidenced in the various studies undertaken locally, amongst which that prepared for the Malta Resources Authority by the British Geological Society. This report is entitled “A preliminary study on the identification of the sources of nitrate contamination in groundwater in Malta” and was concluded in 2009. The existing large number of illegal boreholes are drying up what’s left of the water table transforming what ought to be a public commodity into a private asset as is evidenced by the bowsers transporting and selling water to hotels and swimming pool owners all over the island at a rate which is much cheaper that that charged by the Water Services Corporation (WSC). This is daylight robbery which has been made easy by the inaction or delayed action of the maltese authorities throughout the years. The result is that ground water cannot satisfy the reqirements for human consumption in Malta. It is in fact supplemented by reverse osmois produced water: around 60% of the water supplied by the Water Services Corporation is reverse osmosis water derived from the sea! Whilst WSC sources part of our water from purified sea water it simultaneously dumps into the sea treated sewage effluent. WSC designed all three sewage purification plants as an end of pipe solution intending specifically, on the drawing board to deal with sewage as waste instead of considering it as a precious resource. After all three plants have been commissioned WSC is considering potential uses of the treated water effluent. Such consideration should have been made at the planning stage years ago! Later this year the European Union will publish a “Blueprint to safeguard Europe’s water resources”. This was announced by EU Environment Commissioner Janez Potočnik in a statement which he issued on the World Water Week earlier this week. It is about time that this Blueprint is produced. Even though in Malta at this point it seems that there is little left to safeguard! Alternattiva Demokratika this afternoon expressed concern about drilling in the Gulf of Sirte which is being taken in hand by BP. Its spokesman on EU and international affairs, Arnold Cassola, said that it should be of extreme concern for Malta that BP, ‘which has a disastrous track record with regards to safety measures in this field,’ as seen from the recent Gulf of Mexico disaster, was about to start drilling an oil well in the Gulf of Sirte in Libyan waters. “The Libyan government is already giving Malta a really bad name through the way it deals with irregular migrants. We ask the Maltese government, and the likewise subservient PL opposition led by Joseph Muscat, to speak up and show some dignity and self respect and not continue acting as if Malta were a colony of Libya,” he said. Carmel Cacopardo AD spokesman on sustainable development, observed that approximately 60% of Malta’s drinking water is obtained through reverse osmosis. In the case of a major accident in the new BP oil well 500 kilometres away from Malta, a major source of drinking water may become unusable, he said. “After the serious accident on the BP platform in the Gulf of Mexico which has been traced to incompetence and decisions doing away with safety procedures, a similar accident in a BP-run oil-rig is not an impossible happening. Such an accident will also have a long term effect on the livelihood of Maltese fishermen as well as on the tourism industry, not to mention the ecological havoc. AD calls upon the Maltese government to insist with the Libyan government as well as with BP that they are to ensure that all safety procedures are in place before drilling starts,” Mr Cacopardo said. 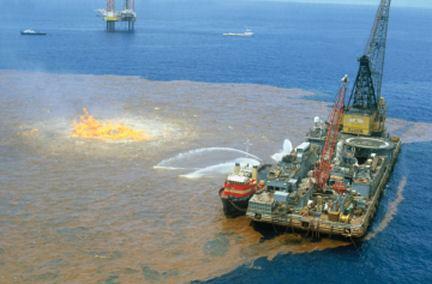 He also called upon the UK government which has defended BP with the US administration, to use its good offices to ensure that the lessons learnt from the Gulf of Mexico are acted upon immediately.